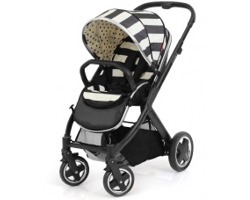 The lightweight and stylish four-wheeled Quinny Zapp Flex Plus comes packed with personality. Weighing in at only 8.8kg, the Zapp Flex Plus boasts a 3D Compact Fold where there is no need to remove the seat and the easy to release wheels give you an even more compact fold. 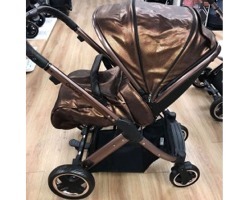 This special Luxe Sport Edition is a special edition luxurious pushchair designed by the brilliant Rachel Zoe. Includes Seat Unit, Carrycot, Chassis, Maxi Cosi Pebble Plus Car Seat, Changing Bag and Footmuff. On trend for 2018 this metallic pewter leatherette Titanium Edition on an anodised shiny black chassis would not look out of place on the catwalk in London, Paris and New York, complete with a matching egg designer changing bag. 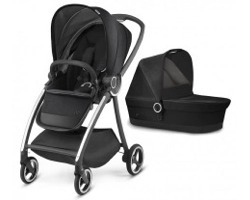 Includes Seat Unit, Carrycot, Chassis and Changing Bag. The eye-catching Oyster 2 Rose Gold has all the DNA of the original multi-award winning Oyster, but with a new canopy design and rose gold chassis. Features intricate copper stitching on the black leatherette handle. 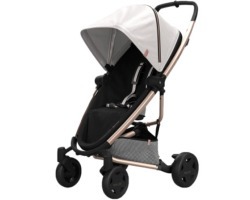 Includes Seat Unit, Carrycot, Chassis and Footmuff. Lightweight and compact the Oyster 2 Vogue has been designed with a narrow width chassis making it easier to get in and out of doorways while still offering a full width seat. 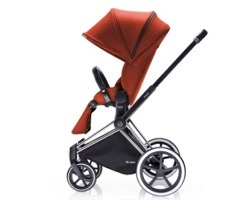 The stroller comes with a uniquely designed extending hood offering an integrated sun shade / insect net. Includes Seat Unit, Chassis, New Born Insert and Footmuff.